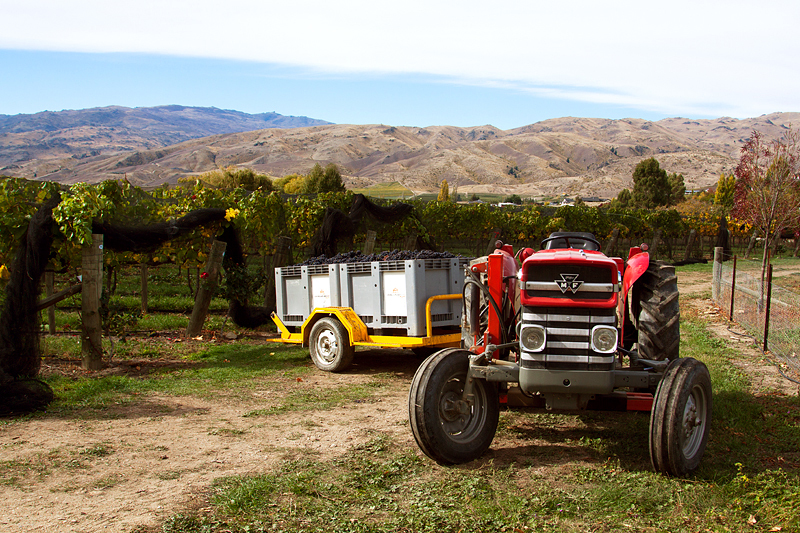 A long journey from vine to gold medal wine ..... the harvest of our 2014 Pinot started on Domain Road Vineyard on the 8th April 2014. 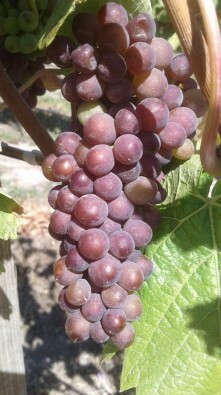 It was bottled almost a year later on the 30th March following 10 months in French oak barriques. 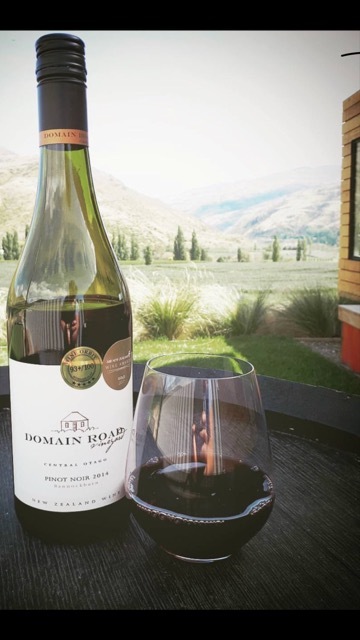 It has now had almost three years of bottle age and is developing superbly, drinking well and with heaps of potential to continue developing in the bottle for a good few years yet. In the Royal Easter Show a couple of weeks ago it picked up its third gold medal. 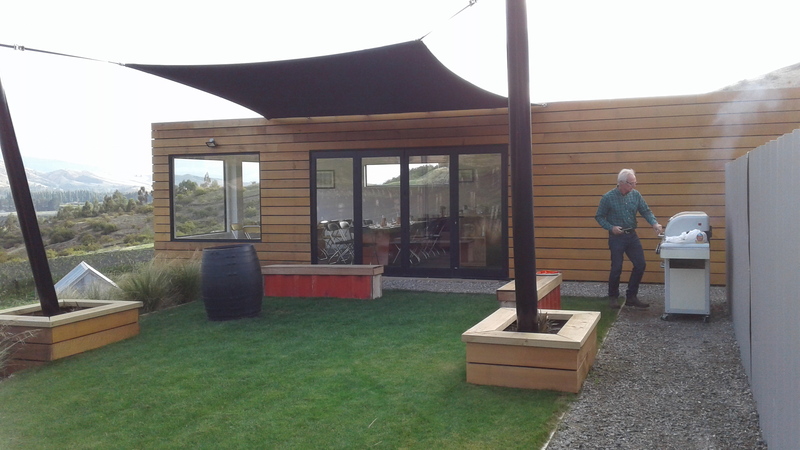 So if you are in Bannockburn come and see us at our Tasting Room on Defiance Vineyard on Felton Road. 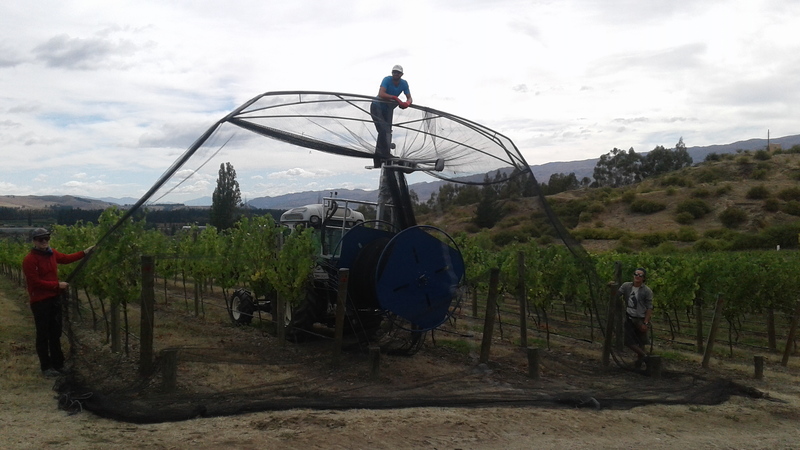 The vineyard is under nets at the moment as we wait for harvest to begin and another Pinot to start its journey. 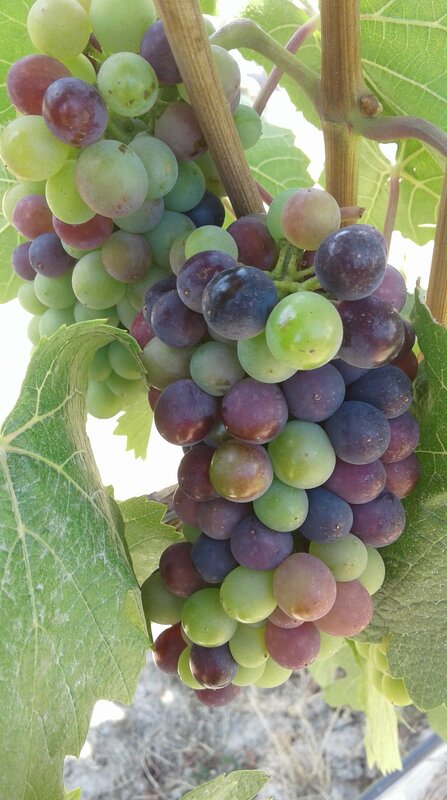 - Our tasting room is open seven days a week from 11am - 5pm - sorry we are not a able to provide a BBQ but we will happily give you our Gold Medal Pinot to try. 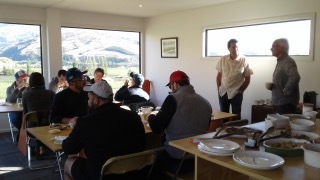 The hosts with the most .... Graeme and Gillian hosted a breakfast today for a group of people passionate about wine. 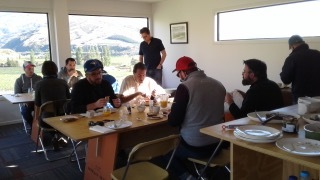 Sommeliers and wine directors from as far a field as Sweden, the UK, Ireland and the USA were treated to some 'Domain Road' hospitality at our Tasting Room on Defiance Vineyard. 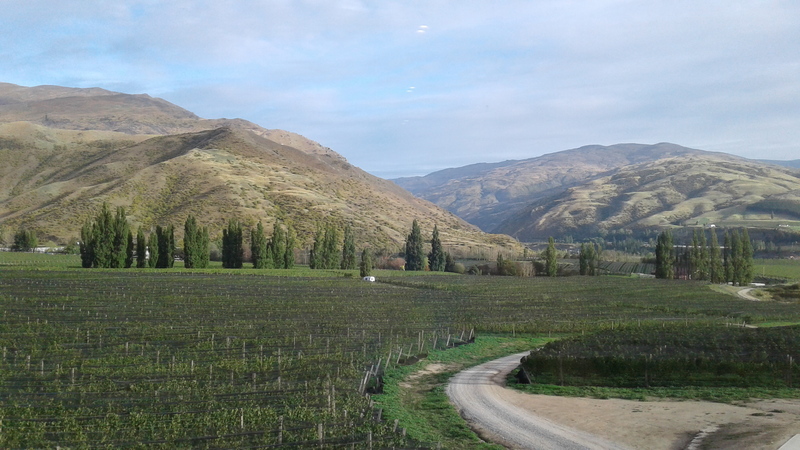 After a convivial breakfast, lots of great coffee and photos of the stunning outlook, the group took off for another day experiencing the best that Central Otago has to offer. 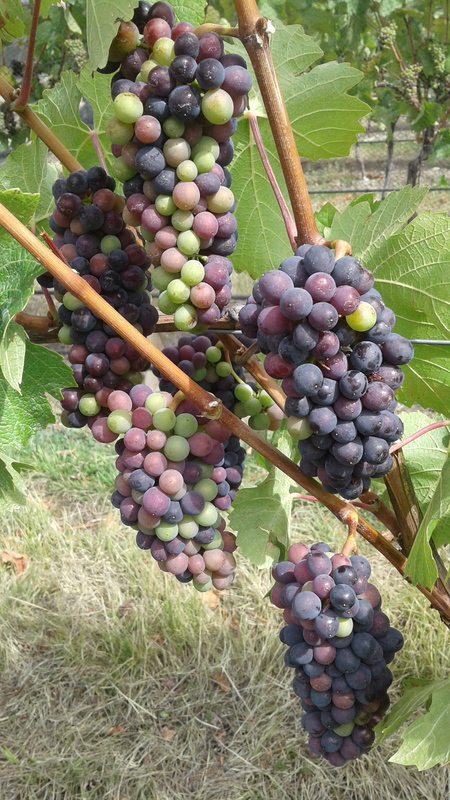 Blackbird heaven - ripening grapes, so once the fruit starts to colour up the vines need protection from these voracious feeders. the one on the left today!! This season we have invested in our own 'netting machine' so have been able to get the nets on as the need arose rather than having to wait for a communal one to become available. A huge plus for Fiona and a loss for the birds!! 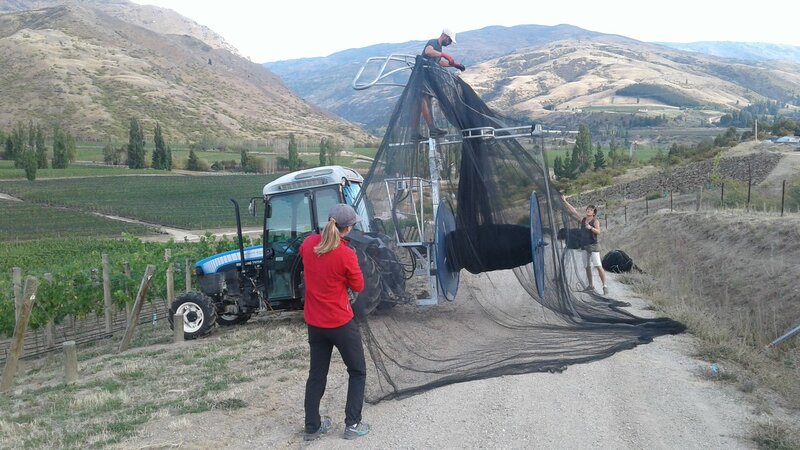 The team have been busy getting the nets on last week and all weekend! That is devotion to duty!! 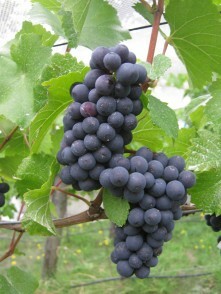 But birds don't know about weekends and love their Pinot!! Things do not always go as smoothly as one would like!